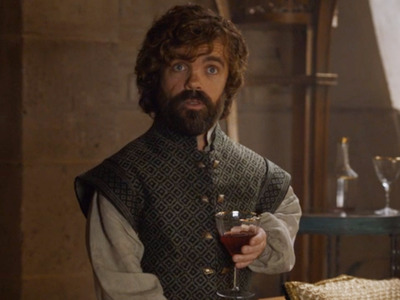 HBOTyrion Lannister has spent much of season six of ‘Game of Thrones’ cracking jokes and drinking wine. As he waits for Daenerys to return, Tyrion has found himself dealing with the politics of Meereen. 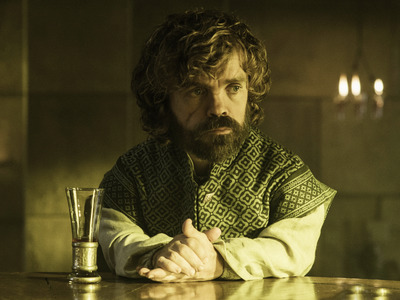 Given how big the cast of characters has gotten, Tyrion’s screen time has been cut down from previous seasons, and much of his role this season has been comic relief. The most recent episode had him trying to goad Grey Worm and Missendai into drinking with him. “I craved to see Tyrion scenes in seasons one through four, but now his scenes don’t interest me. [It’s] mostly due to the fact that his scenes are used to provide comical relief. Even his interactions with Varys are boring,” Reddit user singh_sahil24 pointed out. This fan raises a fair point. Tyrion has long been one of the best characters on “Thrones.” Peter Dinklage’s performance was so good that he went from a small part in season one to basically the lead in season two. It is unfortunate that the show hasn’t been able to focus on some of the deeper parts of his character. However, this whole argument also misses the point in several ways. Tyrion has always been a funny character. HBOTyrion has always been known for his sarcastic comments. Tyrion, hated by his own family who also wants him dead, is certainly a tragic character. However, Tyrion has always been one of the show’s biggest sources of humour. Tyrion is known for his wit and his wisecracks. At times, he’s felt like one of the only people in “Game of Thrones” who’s aware of how absurd the struggle for power can be. 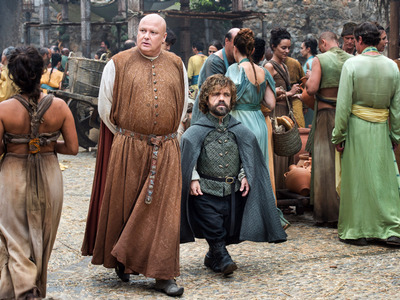 HBOTyrion tries to entertain Grey Worm and Missendai. This is a strong argument. Seeing that people in this world are still enjoying themselves adds a new dimension to it. Not all of these characters want to be at war all the time. Some, like Tyrion, just want to enjoy a good bottle of wine. Tyrion’s scenes this season also serve an important function that many dramas forget about: no matter how serious a drama is, it needs some comic relief. This is embraced by a lot of great dramas to relieve the tension. For instance, another gret HBO drama, “The Sopranos,” was known for its surprising sense of humour. For example, a famous scene in the show in which the family stages an intervention for Christopher (Michael Imperioli) breaks into an hilarious fist fight. Tyrion is one of the best characters on the show. He deserves more screentime. However, turning him into a comic character doesn’t diminish him at all.